And here we thought taking down the transit wires would be the worst of it. San Francisco is under siege from the NFL and the people who live there don’t like this one bit. Behold the devastation that Super Bowl 50 hath wrought upon a little city named Frisco. Super Bowl to San Francisco: "Can You, Like, Take Down All Those Icky Bus Wires?" Statues placed all over the city keep getting vandalized. 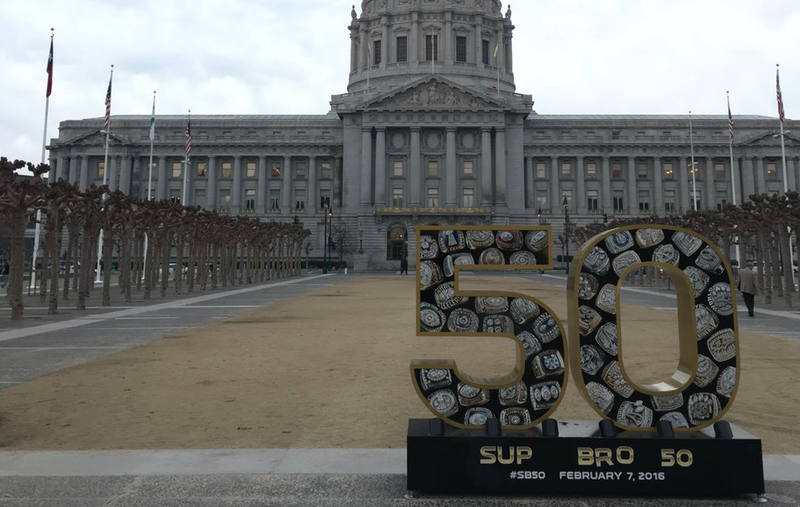 “Sup Bro” reads one in the city’s Civic Center. Another placed in Alamo Square—just outside the Tanner household!—and meant to honor all that is good and decent about sports ball has been defaced for the third time. Tiny fart-sniffing machines have been placed on every corner by Homeland Security. Lines for food trucks are too long. Lines for food trucks are too short. No one is permitted to walk. The most culturally sacred corners of the city have been turned into dens of commercialism. Oh and guess what, the game isn’t even in San Francisco! And yet, there’s a whole side of the city that the NFL doesn’t want anyone to see.